Chasing pheasants was almost considered the means to an end. For at the end of a long day of hunting, many years ago, was bowl after bowl of Stout’s Pheasant Chowder. A well-known dish in the parts where I grew, it was one of my favorites. 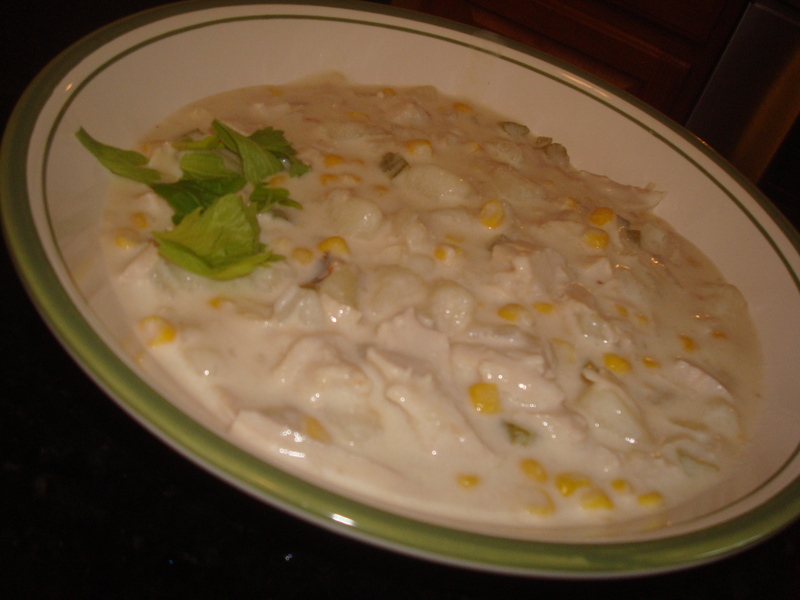 And it served as inspiration in my quest to build a chowder of my own. After many years of trial and error, I’m happy to report I finally got a recipe that I love. It officially was established in 2009 and for the last three years has been something my family looks forward to in the days following Thanksgiving. When the turkey sandwhiches have run their course, remaining leftover turkey is made into the chowder. Now, I’m happy to share it with you. It’s simple. Turkey can be replaced with pheasant, chicken, clams or any other protein of your choice. The turkey, though, is my favorite. Bring chicken stock, butter and water to boil. Add chopped onion. Simmer on medium-low for 10 minutes. Add celery and potatoes. Continue simmering. In 7-8 minutes, add turkey and corn. Also add flour (mix it with a little water to ease its transition into the hot mixture). If you don’t think it smells tasty at this point, you should probably quit and admit you’re not good at identifying great food. If it does smell good, continue. Simmer 8-10 more minutes until potatoes are tender. Add half and half (best to warm it just a bit in the microwave to help again with the transition). Stir constantly over medium heat for another 5-6 minutes. Salt and Pepper to taste. 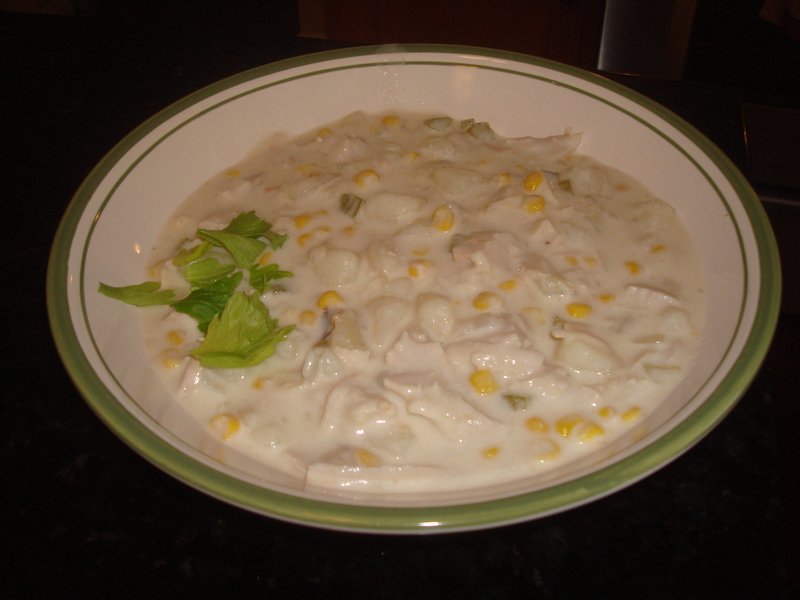 This entry was posted on Saturday, November 26th, 2011 at 8:05 pm	and tagged with chowder recipe, recipes, turkey chowder, Turkey leftovers and posted in 2011, Recipes. You can follow any responses to this entry through the RSS 2.0 feed.